"Let's Face Up to it Canada! The War on Drugs Has Been a Complete Bust"
The Liberal Party of Canada has finally resolved to legalize pot. Over seventy-seven per cent of delegates at the Liberals' biennial convention in Ottawa in a vote that can only be described as overwhelming, told their party's leadership Sunday morning that they want a future Liberal government to legalize marijuana. That number is fairly consistent with any poll taken anywhere in Canada. Canadians are tired of the war on drugs and many are worried about Bill C-10 now part of the Harper Government's War on Pragmatism. Their interim leader Bob Rae acknowledged the war on drugs hasn’t worked, but told reporters the party's caucus would have to study the implications of the resolution. “It’s now up to us to take that resolution and see exactly what it will mean in terms of policy, because there are some practical questions that we have to look at,” Rae added, saying in French that one such issue would be how to control the supply of legalized pot. Rae insisted he was completely at ease defending the principles of the resolution and that he would work with the membership on the issue in the months and years ahead as the party drafts its next election platform. We Will Be Even Happier!" 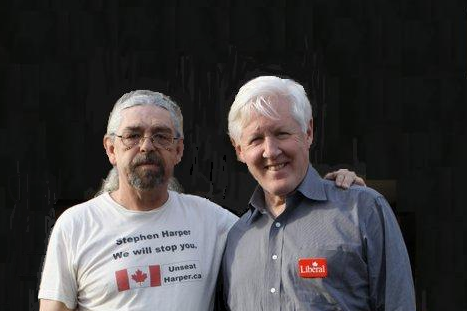 I am lucky enough to have met Bob Rae in person, and had a quiet moment or two with him during the last Election Campaign in Moncton N.B. and I have to admit that at that meeting, the subjects of Crime, Harper's War on Pragmatism, and the War on Drugs all came up. I told him that I was also against Harper's War on Canada. I told him that I wanted to launch a "War on Stupid", and We had a Great laugh! You see, he has a wonderful sense of humour and besides, he already knew that I had the Government of Harper Land squarely in my sights. I mean seriously, They mess up almost every day and had already seen the Back of that nice shirt! Lol! Do You Need a Little More Convincing? Even this Conservative American Judge has Figured it Out. A Majority of Canadians Agree! Another 50,000 or so Canadians are busted every year for possession; throw in 20,000 or so traffickers and producers and this so-called war is costing us as much as $400 million annually in law enforcement, court and corrections. Samuel Lavoie, president of the Young Liberals of Canada, which proposed both motions, said he was excited to see the “overwhelming” support from members to legalize marijuana, but isn’t certain whether it will get into the party’s federal election platform. THEY have three years to get their kent together. This is the second or third time the Liberals have brought up legalizing marijuana and have done nothing about it. People will be watching the liberals carefully next election, if this is not in their platform, they lost the marijuana voters, people are tired of the bs parties promising to do this and that, and once in office forget about you. So my friends, I'll believe it when I see it (in writing) The liberals should be checking out the other countries concerning legallizing marijuana , it's a no brainer. =^..^= Nice pic of you and Bob. Thanks Red, for the comment and the compliment. I know that story but this time does feel different to me. The support was higher to start with, and that is a definite step in the right direction. We will have to keep that in mind as we go forward. I will be pressuring the Party as much as I can to be brave and get it figured out as soon as possible. The less time it takes the better. 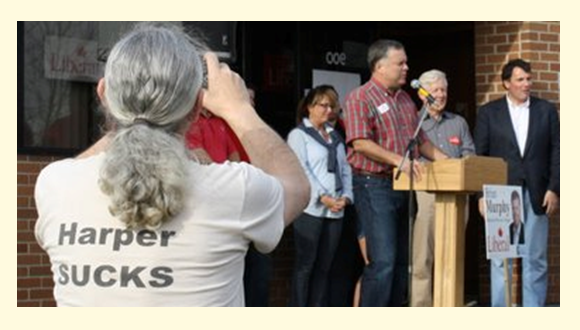 It may be that we need to get behind this NOW and use it as a way to broaden the base of the Party. Support for legalizing Pot is strong. We need to strike while the knives are still Hot!